Open Source Hong Kong supports the local and global open data movement, and organises annual events. Open Data Day is an annual international open data event, initialised by Open Knowledge Foundaton. Open Data Day is a single day hackathon to create creative ideas with open data. Open Source Hong Kong organises Open Data Day in Hong Kong for years. 2018/03/03 (Sat): Open Data Day 2018 at Hong Kong University. 2017/03/04 (Sat): Open Data Day 2017 at City University of Hong Kong. 2016/03/05 (Sat): Open Data Day 2016 at Odd-e Hong Kong. 2014/02/22 (Sat): Open Data Day 2014 at GoodLab co-working space in Prince Edward. Open Source Hong Kong co-organises Open Data Idea Jam hackathon with Cyberport, to encourage tech entrepreneurs to create startups with use of open data. 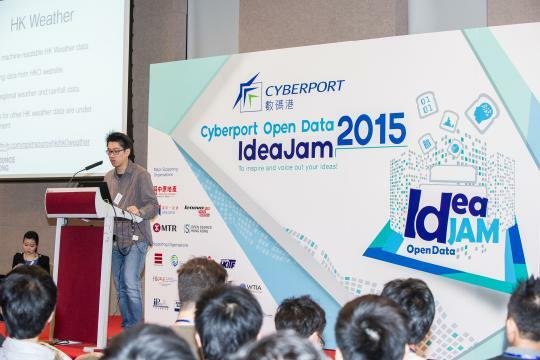 Cyberport’s Open Data Idea Jam website. Photo Album at Cyberport website.